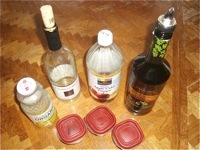 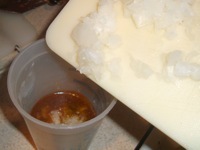 Dressings: Mix Onion, Lemon Juice, Olive Oil, Apple Cider Vinegar, White Wine, Seasoning. 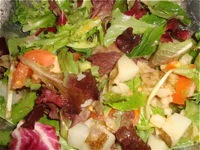 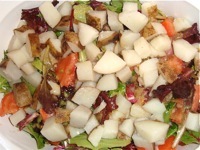 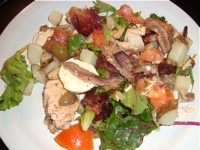 Mix Salad Mix, Potatoes, Tomatoes, Olives, Anaheim Pepper, then mix with Dressing. 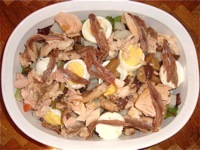 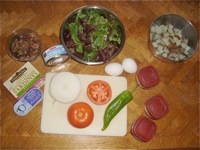 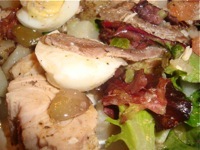 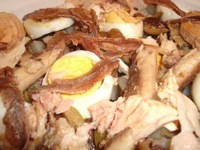 Put on top Sardines, Anchovies, Tuna and boiled Eggs cut in half.